With an Easter bank holiday followed in quick succession by the royal wedding and the May bank holiday – many of us are taking advantage of an extended Easter break. Tomorrow marks the start of the holiday period, with many Brits heading off to foreign shores to enjoy an unexpectedly long April holiday. 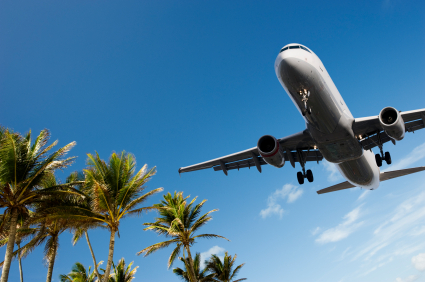 If you’re planning to spend this time abroad, make sure you have ample travel insurance in place before setting off. Many people will opt for a short break or long weekend in a European resort this April, with city breaks proving an ever popular holiday choice. When travelling within the EU, many people believe insurance to be an unnecessary purchase and that their EHIC will suffice. The European Health Insurance Card will entitle you to local healthcare access within the EU– but it will not meet all your medical expenses should you become ill or injured while away from home. Shopping around for cover online is probably the best way to find cheap deals. Single trip policies can be as little as around £6. However, don’t assume that the cheapest deal is always the best option. Check the various excesses that are attached to the policy i.e. how much you would need to pay out of your own money if you had to make a claim. There will probably be different excesses that apply to different parts of the policy – such as baggage cover, cancellation cover and medical expenses. Check that you’re comfortable with each of these amounts. Some policies will cover you for industrial action, while other cheaper ones may list this as an exclusion. Providing you have taken out cover before the dates of the strike were announced, any cover you have should be valid. Remember to take a copy of your documents with you on holiday along with any telephone numbers you may need. If a situation arises for which you may need to claim, make sure you report the incident immediately to the relevant authorities – police, hotel management, airline etc. Also, inform your insurer as soon as possible. Keep any reference numbers, police numbers, official documents, reports, receipts or tickets in a safe place. As you can see from this recent Guardian article travel insurers offer hollow promises, it can sometimes be tricky to get a claim settled with some providers. By having all the necessary items to hand and by fully understanding the cover you’re entitled to, you should speed up the process of making a succesful claim. Of course, here’s hoping the cover won’t be necessary over the next few days. A very happy Easter to all and happy holidays!